Hardcover, Shufunotomo Co., Tokyo, 1988 FIRST PRINTING (stated). 167 pages. Lavishly illustrated...144 Full-Color Photographs. 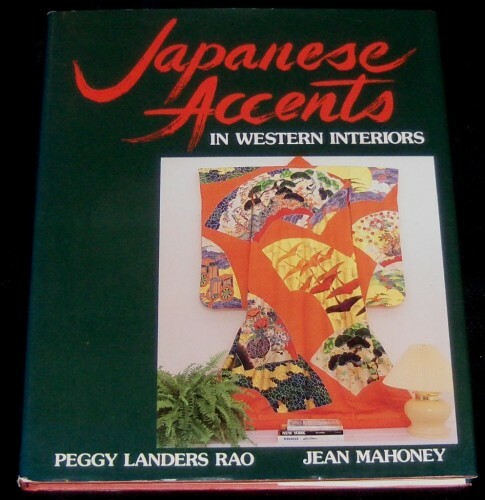 "... Shows how some foreign residents in Tokyo have incorporated 77 different kinds of antiques and folk craft into their Western homes. Each instance is inventive, since every photograph shows a Japanese object used in a different role from its original function.... artistic photographs taken in 45 different homes capture the beauty of this West-East merger in interior design... Accompanying text reveals the background of all objects shown, and suggests why they might be worth acquiring from an artistic point of view..."
"A treasure chest of ideas on how to use Japanese antiques in Western surroundings. The authors highlight 77 different kinds of antiques and folkcraft playing new aesthetic roles in 45 lovely Western-style homes. With 144 full-color photos, this landmark book, the first of its kind, i s an essential introduction to the wide ranging field of Japanese artifacts. Also included is a list of craft and antique markets in Japan and sources for Japanese articles in the U.S. and Canada."